Door County offers plenty of opportunity. 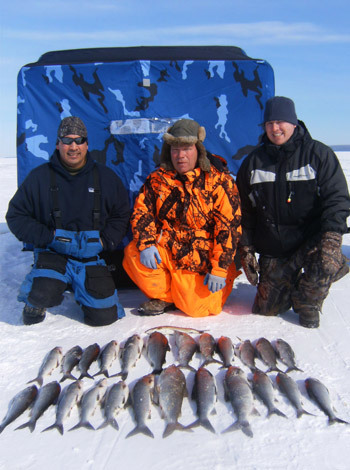 Whether fishing Door County’s inland lakes or chasing trophy fish along the scenic shorelines or some of the many off shore reefs on the bay of Green Bay, Late-Eyes Sport Fishing has what it takes to give you a memorable day on the ice. Whether you are fishing for walleyes, whitefish, northern pike, perch, or brown trout, you will be shown different techniques on how to fish for each species. When jigging for different species of fish including walleyes and whitefish, you will have someone with you showing you proper jigging techniques. 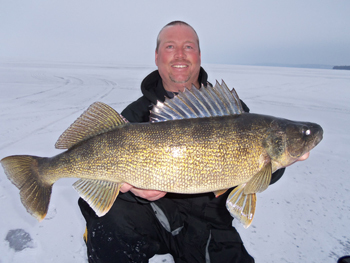 Your ice fishing trip with Captain Paul Delaney will include safe transportation to and from proven fish catching locations. 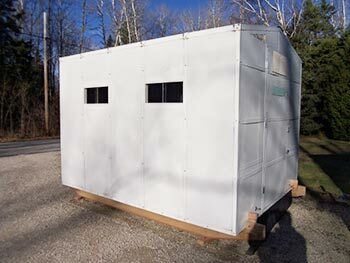 Heated ice houses, electronics, navigation equipment and quality fishing equipment to catch your fish including rods, reels, tip-ups etc… are all provided. Fishing locations include areas such as Little Sturgeon Bay, Sturgeon Bay, Egg Harbor, Fish Creek, Ephraim and Sister Bay. Due to changing ice conditions and fish location, any and/or all of these areas are being fished throughout the entire ice fishing season. If fishing on your own is more of your interest and you’re unfamiliar with ice conditions and fishing locations and have your own equipment and transportation or have no transportation, I will safely assist and/or transport you to and from proven hot spots for a reduced rate. Special group rates apply to 6 persons or more. 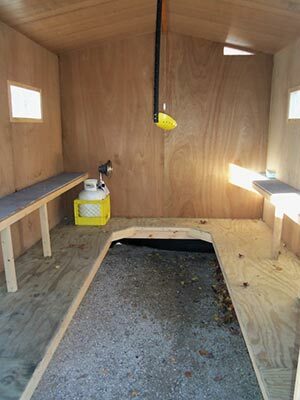 All houses are positioned on proven fishing grounds and moved daily to stay on the best fishing. Renters are responsible for cleaning up ice house at the end of the day. This option includes transporting you to and from proven fishing grounds using your own equipment.